In a tiny, decaying aluminum smelting town in southern Tajikistan, a short drive from a raging war zone, Afghanistan take on Palestine in the first Asian qualifier for 2014's World Cup in Brazil. Every player on both teams is risking something by playing: Their careers, their families, even their lives. 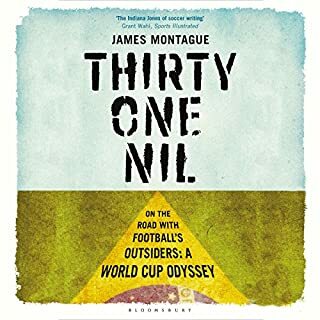 Thirty-One Nil is the story of how footballers from all corners of the globe begin their journey chasing a place at the World Cup Finals. Downloaded over 10 million times a year, The Football Ramble podcast has established itself as the essential independent voice of football punditry. The weekly podcast has resonated with supporters around the world, and their sold-out live shows have been a massive hit with supporters. 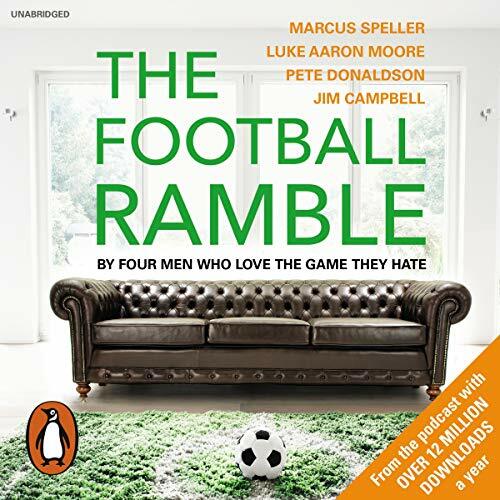 This audiobook is a collaboration by all four presenters and tackles the real issues from fans you won't see or hear on Sky Sports - or anywhere else, for that matter. From the weird and wonderful, from the Alan Pardew to the Kevin Keegan, the Ramble has it covered. Putting all aspects of the game under the microscope, this book is a timely reminder of why we just can't take our minds off football. the podcast is funny spontaneous and insightful. the book isn't. it's read like they can't be arsed Jim Campbell in particular or like they have written profound wisdom others couldn't possibly think of, Luke Moore. at best it's average, at worst it's annoying. Who doesn't love a book read by its authors? 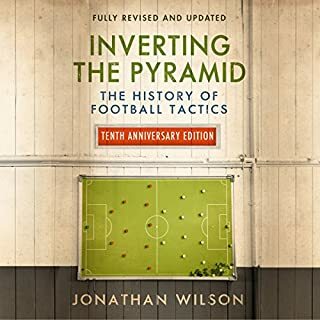 Excellent history chapter as well as the Ramble's take on the many facets of the beautiful game. I loved it. That what football do to ya! You're all slugs. Pete Donaldson, Marcus Speller, Luke Aaron Moore, Jim Campbell. Slugs. The lot of you. Take my money. Slugs. F * * king brilliant! Love the podcast, love the book. I enjoyed every bit of the audiobook, thanks to the ramblers for making this happen and all of your hard work and research here and every week to keep the rest of us sane! The book is very Anglo-centric as would be expected considering the authors. Don't let that stop you from giving this book a listen. 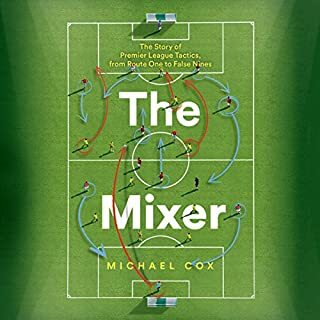 It's a funny, entertaining and informative exploration of soccer/football culture, personalities, history and passion. I know some of the jokes are lost on me as an American, but that didn't stop the Ramble from being an awesome book. Absolutely Fantastic book wonderfully educational with great humour throughout!! 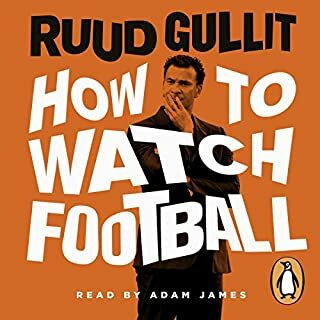 Thoroughly enjoyed the chapter about referees I have a more respect hugely after hearing what they have to go through. 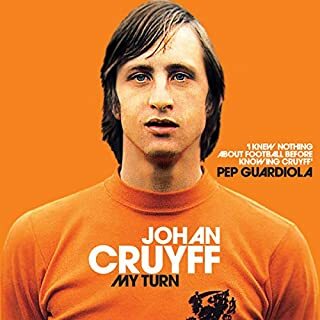 Exceptional book if you love football this is a must listen. Avid listener to the podcast and the Ramble boys delivered a 5 star performance. The personality of each shone throughout the narrative and the individual writing/talking styles was refreshing and kept me attentive along the journey. Book 2 better be in the making, until then the twice weekly musings of Marcus, Luke, Jim and Pete will keep me entertained! Marcus Speller's dulcet tones make this a must! I didn't know what to expect from a book from 4 comedy podcasters. but I'm glad to say all expectations were exceeded! A fun and inciting look into the game we love. Special praise for Pete's section on how clubs aren't doing enough for disabled fans. I should have probably read more about the book before getting it but when I saw the football ramble I assumed it was an obvious purchase. I love the podcast and felt this book was a little different - not really the fault of the guys. 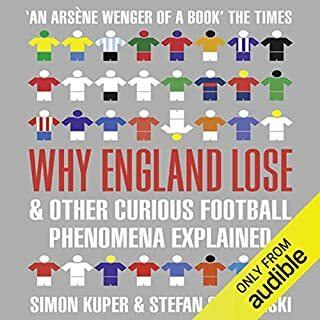 This book is less lads discussing football and saying the things we are all thinking, and more a comical view on the history of football. Generally a funny and good listen but just not what I expected. loved it. the boys done well. we all love football, and nobody more than these lads. flew through it, and flew through it again. I have never heard of the Football Ramble or any of its presenters, but I got this because it's about football. It's fairly unstructured and rambling, as the title implies. Of the seven hours, a lot of the time is spent cracking jokes. Some of these, quite a lot, in fact, are quite funny, but there were times when I got sick of the wisecracks and just wish they'd talk sensibly. The guy from Hartlepool was the worst, the others were a lot better (and funnier!). Even if you haven’t listened to their podcast give this book a go. Football from the perspective of those who love the game and everything that goes with it. Not quite the same as listening to the ramble as they all talk individually. Still has its highlights but not as funny.